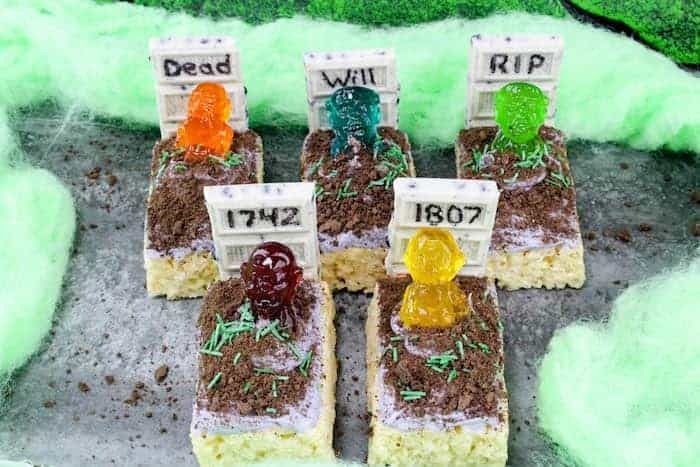 Easy Halloween Dessert - Rice Krispie Treats Zombie Graveyard! Looking for some easy no-bake Halloween treats for your kids classroom party or just as a fun Halloween dessert? 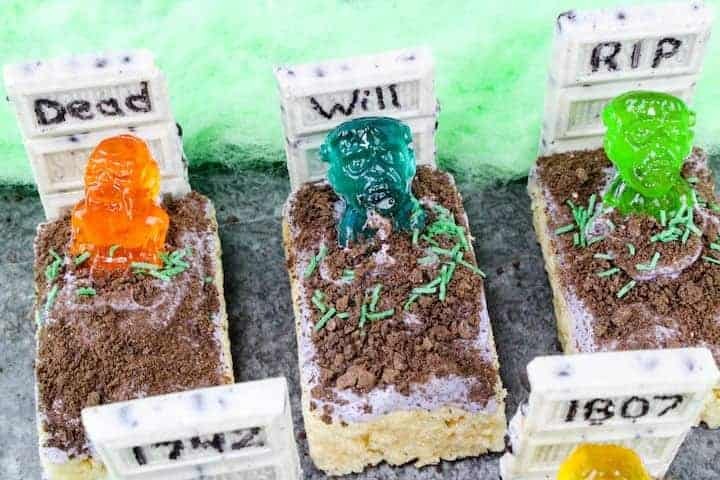 These Halloween Rice Krispie Treats made into a Zombie Graveyard are just the ticket! Every year I try to come up with some new easy Halloween dessert that will be great for our school Halloween Classroom Party. 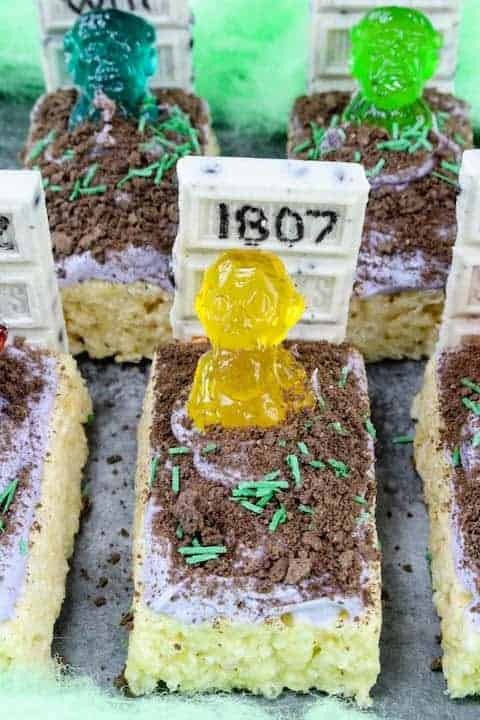 These Halloween Rice Krispie Treats make the cutest (I mean scariest) Zombie Graveyard dessert! They are the perfect no-bake Halloween dessert! 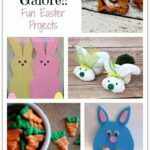 Did I mention that they are super easy to make! I mean come on, everything is packaged! No baking, mixing, measuring required!! This Halloween Dessert also makes a great project to do with your kids class! 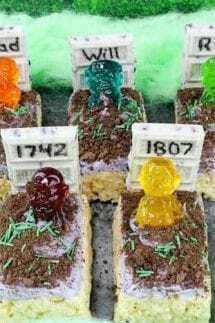 Just bring the supplies and let them create their own edible Halloween grave, and of course then they get to eat it – kills two birds with one stone! Classroom Halloween party project and classroom Halloween treat!! Win-win! This is right up the Princess Pinky Girl cooking alley! It is more of an assembling rather than cooking! Looking for some other great Halloween party ideas? Check out my round-up of Easy Halloween Treats for your Classroom Party! I also have some great Healthy Halloween Treat options too – be sure to check out both of those! That is all you need!! 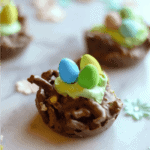 And, like I mentioned before, it is no bake, which makes it even easier. 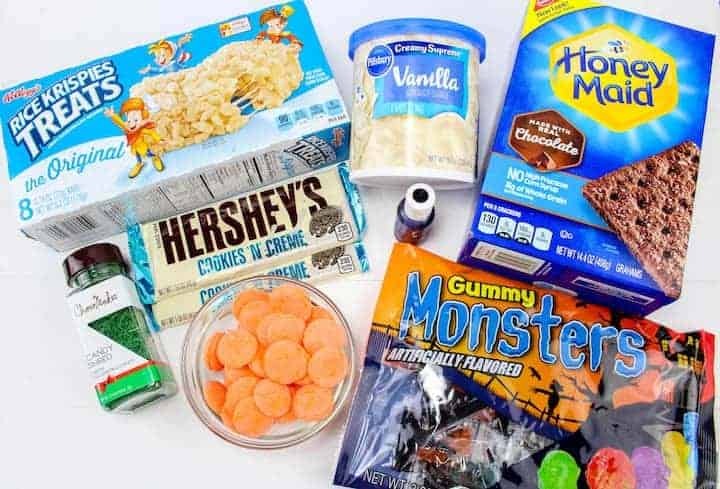 This easy Halloween dessert is the perfect treat for your classroom parties, Halloween Parties or just as a special “it’s almost Halloween” treat! (who doesn’t love that kind! Color the frosting with a few drops of black food coloring so it is a dark gray color and spread on top of each of the Rice Crispies Treats. Melt the orange chocolate melts per package directions and put a dot on the front bottom edge of each candy bar headstone and press against the end of the krispy treat behind the monster. Are you looking for some other Easy Halloween Desserts? Look no further, Princess Pinky Girl has you covered. 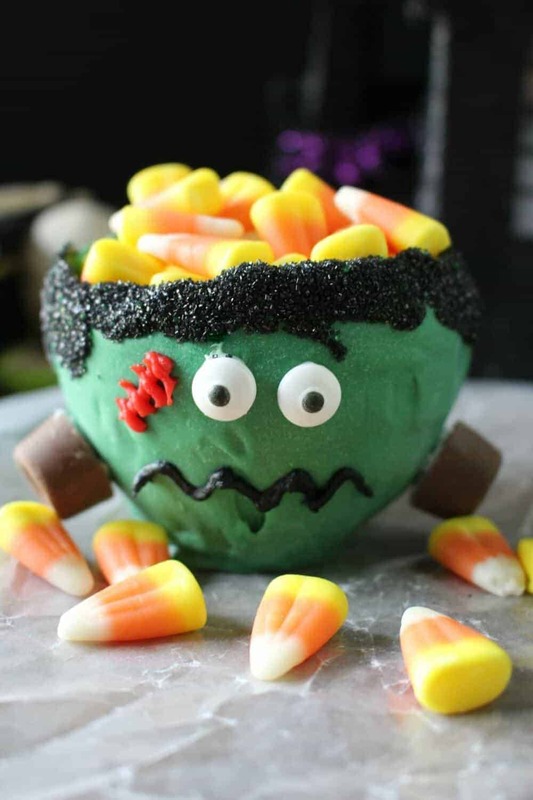 These easy to make edible chocolate bowls made into Frankenstein’s head are crafted using a balloon! See how here! Ready to move on to Christmas? 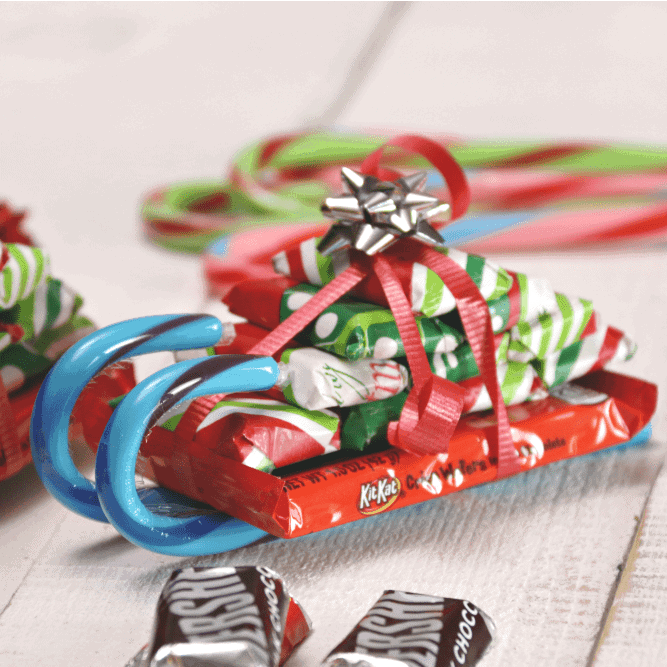 You must try these easy to make Candy Cane Sleighs made from candy bars! ! They are our favorite gift to hand out to friends and family! Where did you find the dummies and what brand are they? I found some on Amazon. I have handmade all crispier treats, tombstone, and used Oreo’s for dirt. Now searching for marker? I have 36 to do…lol. my grandson requested them when he saw these!